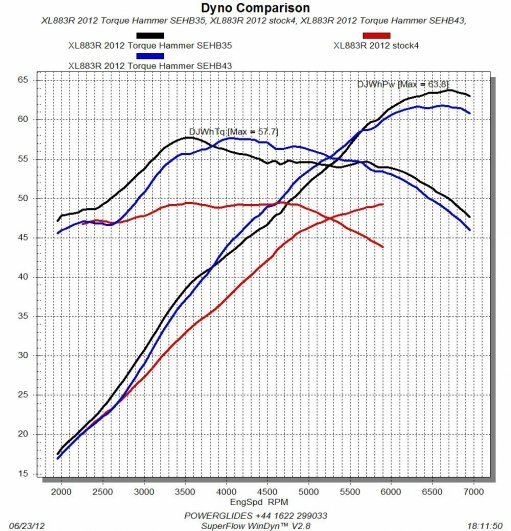 4-9-2012 - Here is a independent test from a Harley Davidson tuner in the United Kingdom who tuned a 883 Sportser. 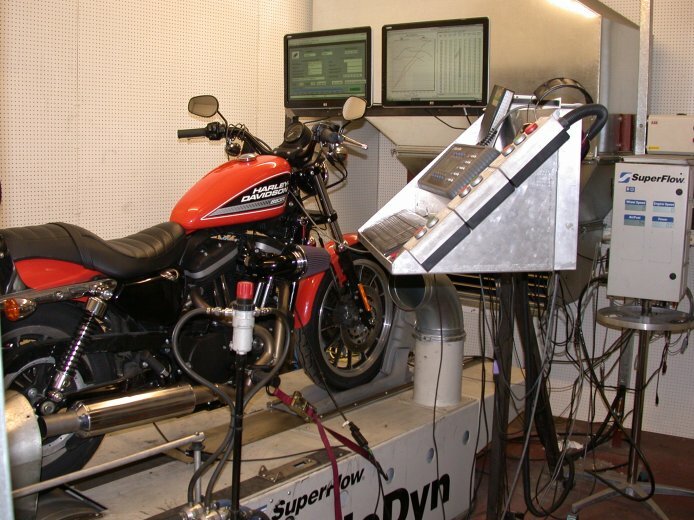 Here is a independent test from a Harley Davidson tuner in the United Kingdom who tuned a 883 Sportser. 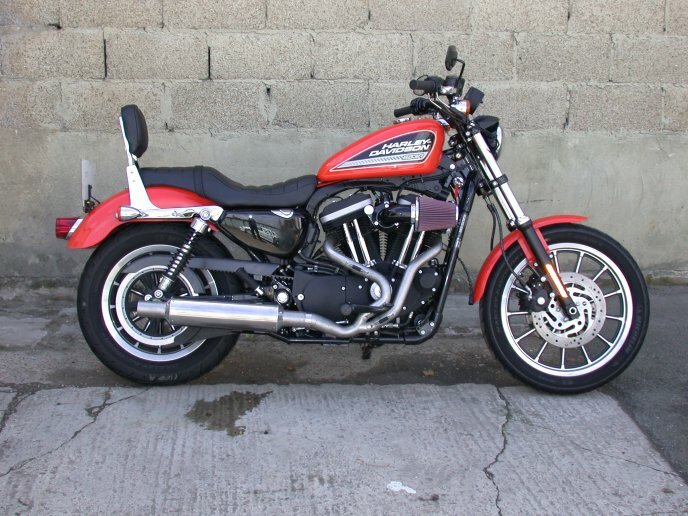 Ok, this is a bit different, but I was so impressed with the Torque Hammer on the four XR1200s I've now done, that I wanted to try the Sportster version. Something that I've never considered before (other than my involvement in the 883 race series way back around 1990), is trying to see how much power I could get out of an 883. I always used to bore these out to 1200, but since H-D changed the construction of the cylinders in early 2008, which prevents us from doing this, this is no longer the "bang for the buck" that it used to be. The use of EFI and slightly higher compression OEM pistons on the late 883s has pepped these engines up a little anyway. So a H-D dealer that I do machine shop and tuning work for, lent me a 2012 883R and supplied the SE Heavy Breather air cleaner. Dris supplied the pipe and I donated the Direct Link key and the workshop and dyno time. Very impressive results, this engine just keeps revving. 17% peak Tq gain and a 30% peak hp gain. Really love the look of this pipe as well. Reminds me of a Burgess silencer on my old BSAs and Nortons. The Blue and black lines are with and without db-killer, it's a loud pipe without.